This piece is a summary of the legal/other consequences of the Army's mid-September armed invasions of Mazi Nnamdi Kanu's homestead at Umuahia, Abia State. The state of affairs before the invasion was that Nnamdi Kanu was free on bail on a subsisting court order; his bail was not on personal recognizance but on a bond posted by a third-party obligor/surety; and Kanu was neither judicially-ordered to be re-arrested for breaching his bail, or on account of any new charges filed. It is beyond argument that the invasion achieved complete routing of Nnamdi Kanu's home and caused fatalities and injuries to a yet to be determined number of people, including Nnamdi Kanu, who were present and trapped at the premises throughout the attacks. The invading forces also 'captured' an undetermined number of occupants of the premises, none of whom is accounted for to date. 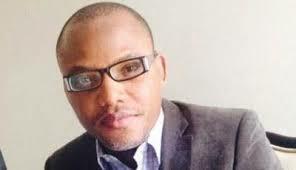 Most significantly, Nnamdi Kanu has not been seen or heard from since then. The inevitable question that has arisen from the foregoing set of facts is this: What are the consequences of such deadly military action against an accused person who was free on bail? The following analysis will provide some answers. At common law, a bail is simply a binding promise by an obligor or a surety to produce an accused in court whenever required to do so. Any monetary or property item offered by the obligor to back up his promise becomes the bond that he stands to lose should he fail to produce the accused when required to do so by the State. In other words, a bail bond is a written contract in which the State is the Promisee, and the obligor is the Promisor. The accused is merely the subject matter (or the res) of the contract. And the fundamental purpose or consideration is to have the accused appear in court by compulsion of the bond. So, just like any other contract, a contract of bail is subject to universal rules of contract, including - in this particular case of Nnamdi Kanu - an implied covenant on the part of the Nigerian State that it will not in any way interfere with or impair the ability of the obligor to produce Kanu whenever required to do so. This includes the covenant that the State will not take any steps with the res (the accused, the subject of the bail) that will increase the risks of flight o safety or extra-judicial death, which will inevitably lead to nonperformance by the obligor. So, when the Nigerian State, through her Army invaded Nnamdi Kanu's home, it breached the basic covenant that required the Nigerian State (or the Federal government) not to create a situation that will make it impossible for the obligor to produce Kanu in court. And given that Kanu's death, mortal wounding or capture are the foreseeable consequences of the invasion, the contractual doctrines of frustration and force mejeure also come into play. It is trite that the occurrence of force majeure (or superior force) relieves one or both parties from the duty to perform the contract obligations. The rationale is simple and that is: The force majeure event (the military invasion) is a supervening event or circumstance that was beyond the control of the obligor or even Kanu himself. Military invasions are specifically deemed a typical force majeure event under every human legal system, especially one that was as targeted and vicious as this one against Nnamdi Kanu. It can also happen that, in certain scenarios such as this case of Kanu, a unique force majeure event will intermix with and thus raise the doctrine of frustration. Under this time-honored doctrine, a contract (including a bail contract) will be deemed frustrated if its fundamental purpose (appearance of Nnamdi Kanu in court) is destroyed. In such event, the parties to the contract will be discharged from their obligations to perform the contract; and the subject matter (the accused) can no longer be expected to appear at his next scheduled court date. Assuming that Kanu was not killed or captured but he somehow managed to retreat to safety, is it reasonable (or even safe or wise) for him to emerge in plain sight of an army arrayed and on strict orders to kill or maim him? Consider this: A Nigerian State that has Kanu on trial for certain offenses - in the course of time - released him on bail posted by another. Then, the same Nigerian State ordered its army to invade Kanu's home with live bullets and other munitions. Then, the death of some unidentifiable people at that locations ensued from the attacks. Some not killed were captured. During all of these, Kanu was confirmed to be at the location - trapped and being shot at in barrages and staccato. Now, there are only two things that could have resulted from this, and they are - Kanu was either killed or he was captured by the Nigerian army. So, how can anyone now expect Kanu's surety to produce him in court. Or even for Kanu to magically emerge from nowhere and stroll to court. Yet again, there are other myriad legal, constitutional and international law consequences arising from all these. The most obvious one is that the Nigerian Army and those that command it, even from the highest levels, are clearly in contempt of a Federal High Court by launching military attacks against an accused person (a ward of the court) that was free on a judicially-ordered bail. The second violation is constitutional and fundamental and it is found at Chapter IV of the Nigerian Constitution. The third lies in flagrant breach of the 'African Charter On Human And Peoples Rights', which is legally enforceable in Nigeria. Then, there are others, mostly of the diplomatic and penal kinds that will surly come in the course of time. Ejimakor, a lawyer wrote from Washington, DC.